When there’s enough inbounds terrain to keep you happily entertained week after week, it makes me wonder why I sometimes crave getting into the backcountry. While having all this glorious lift-accessed terrain at my fingertips never gets old, sometimes I seek that stretch of the legs and the exploration of what lies beyond the resort. If you’re thinking about slapping some skins on those sticks and going for a powder-filled walk in our neck of the woods, here’s my recommendations on what to throw in your backpack, so you are prepared for the Coastal Mountains that await you. 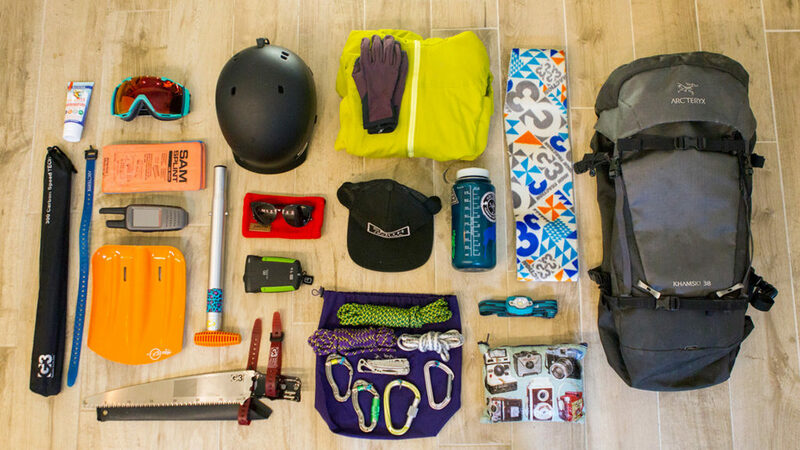 Aside from the mandatory transceiver, shovel and probe here are a few things that should probably accompany you on a day of backcountry touring. Water Bottle / Thermos: a tough reusable water bottle is perfect for any adventure, ski touring included! If it’s extra cold, keep it wrapped in a warm layer in your backpack or, better yet, bring a Thermos with warm water. Your body can absorb warm water faster, so you’ll hydrate faster. Plus, drinking cold water isn’t very enticing when it’s cold outside! First Aid Kit: gauze pads, duct tape, alcohol wipes, gloves, sam splint and sugar tablets are a good start to a first aid kit. I recommend keeping a foot repair kit in case you encounter blisters or hot spots! Hand warmers, extra batteries for your transceiver, zip ties and a bit of wire can go a long way if you have a gear malfunction or medical emergency. Multitool: Ideally includes a knife, file and screwdriver with a couple bits. I recommend the Leatherman Skeletool. Sunscreen: Backcountry accessed off of Whistler Blackcomb puts you in the alpine quickly which means if the sun is out, the goggle tan is forming! While it might look like a status symbol for how many days you got out in the season, dealing with a blistering red face or peeling lips all spring isn’t a great look. Snag some sunscreen with Zinc in it to keep your skin happy après tour. 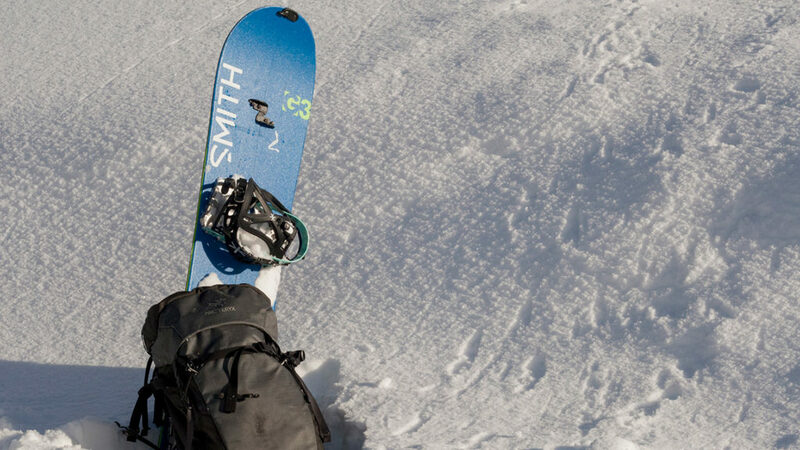 Ski Strap: Not only does it make “A-framing” your skis so much easier, but they can also help attach gear to your pack and temporally fix skin or binding issues long enough to get you out of the backcountry. Sunglasses: touring in googles gets hot and sweaty. Pack your sunnies for a breathable approach. Hat: If you can’t tell, the sun is strong here! Protect yourself with the comfort of a breathable hat and swap it out for a helmet when you’re ready to ride or while you’re travelling under an exposed area like cliffs with potential rock fall. Snow Saw: Don’t leave home without it! (Or at least make sure someone in your group has one) It’s important to make observations and dig your own snow pits to collect new snow pack information as it can change minute to minute. Don’t forget to share your results on the Mountain Information Network (MIN) on Avalanche Canada’s App to help other backcountry users stay safe! Headlamp: In case your day goes longer than expected. Extra Layer: Big mountains mean big weather! Winds can shift, and storms can roll in; you’ll never regret having an extra layer in your pack. Lightweight Gloves: Exposed hands on poles can get blisters and horrible tan lines. You can also get pretty cut up dealing with skins and skis while transitioning. Save yourself the pain and get some lightweight gloves to keep your hands happy and protected. Carabineers/Sling/Prusik Cord: It’s true, we have glaciers here; quite a few of themactually! Study maps before heading out so you are very aware of where the ice lies so you can give it a wide berth. If you plan on glacier travel, you’ll want to have a full glacier kit (this isn’t it!). Regardless, it’s always a good idea to have a few extra locking carabineers, a double length sling and a couple of prusiks. If you ever find yourself needing to ski cut, transport someone with an injury or serious gear issues this stuff comes in handy! Sat phone, radio and/or GPS: While stepping through the backcountry gate may not make you feel like you’ve left society, you are much further from help than you think. It’s a great idea to leave your day plan with someone local with an estimated time of when you’ll be back. If something goes wrong you’ll want to be able to communicate so investing in a sat phone or a powerful radio is an awesome idea, and, yes, you can use that sat phone to make reservations at Creekbread while you’re on your way out of the backcountry. Maps, specifically the Whistler Backcountry map by John Baldwin is an excellent resource to study before and take with you in the field. Having a compass and knowing how to use it with that map is even better! Bringing the right stuff is only useful if you know how to use it! Whether you’re looking to dip your toes into the freeing waters of backcountry skiing for the first time or you’re a seasoned tourer looking for local beta, this list of resources will give you what you need to ensure you’re prepared for what’s beyond the ropes in Whistler. AST1&2: Avalanche Safety Training courses are the foundation for getting outside of the resorts. Extremely Canadian is a great place to start as they offer regular AST 1 and 2 courses in terrain accessed from Whistler Blackcomb. Guided Backcountry Experiences: Wanting to see the terrain without having to make all the navigation calls? No problem! Extremely Canadian, Altus Guides and Mountain Skills Academy all do guided tours right here! Local Weather: The Whistler Blackcomb app and website both have alpine weather forecasts which are very accurate. You can also use Snow Forecasts’ website. Avalanche Forecast: The Avalanche Canada App is the easiest way to keep track of snow trends and stability. Our region is known as the Sea to Sky. 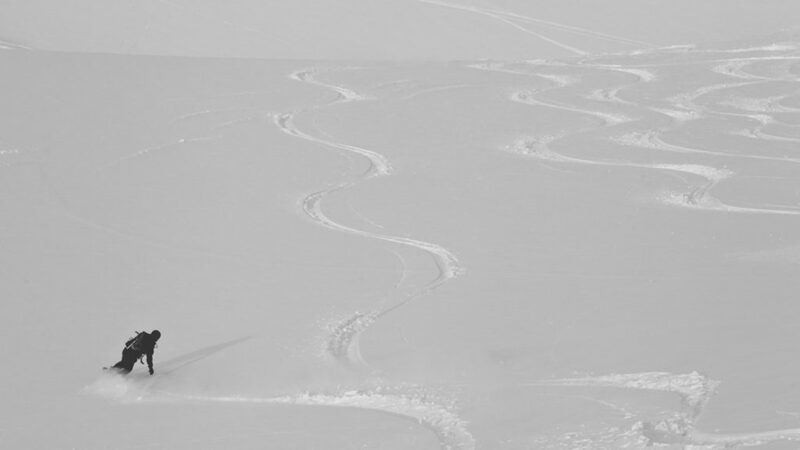 Whistler Blackcomb also has a backcountry advisory. Books: Exploring the Coast Mountains on Skis by John Baldwin is a great place to start, it has route info and images for pre-trip planning. I’m not going to lie; our backyard is gorgeous! Everywhere you look the Coastal mountains are begging to be skied! There’s no doubt exploring this terrain is an amazing experience, but only when done safely. So, wait out the conditions, take the right courses, collect the right gear and enjoy all Whistler has to offer inbounds and out of bounds, when the timing is right! Oh, and share your info online to help keep others safe, and of course, to give us all a case of the FOMOS from your epic adventure!